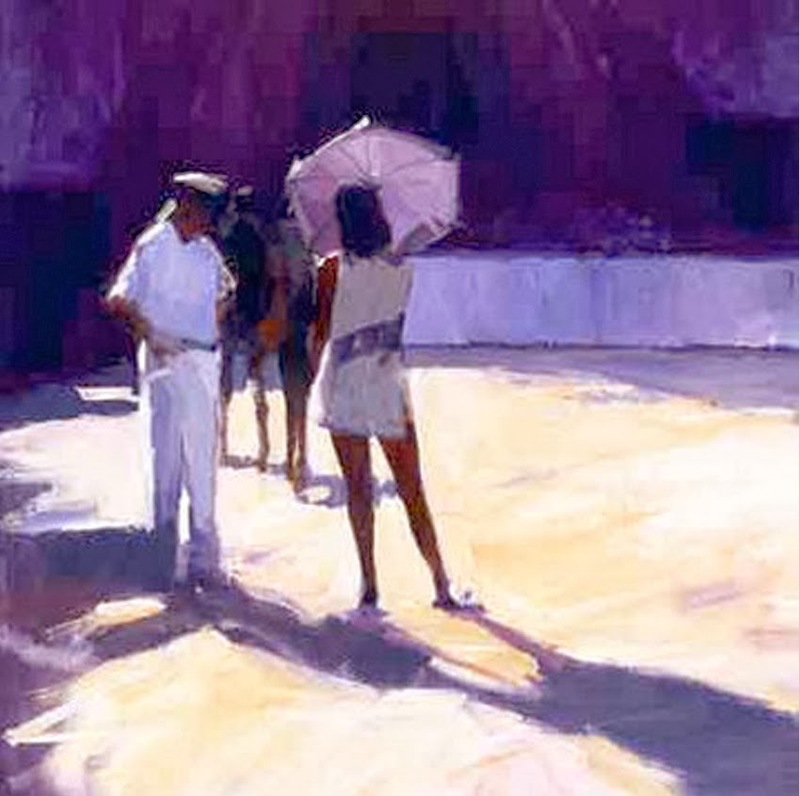 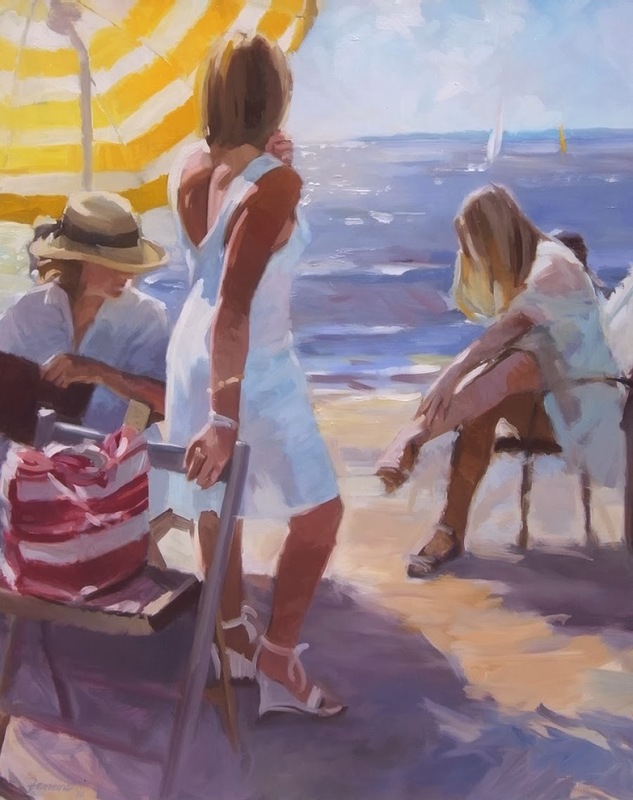 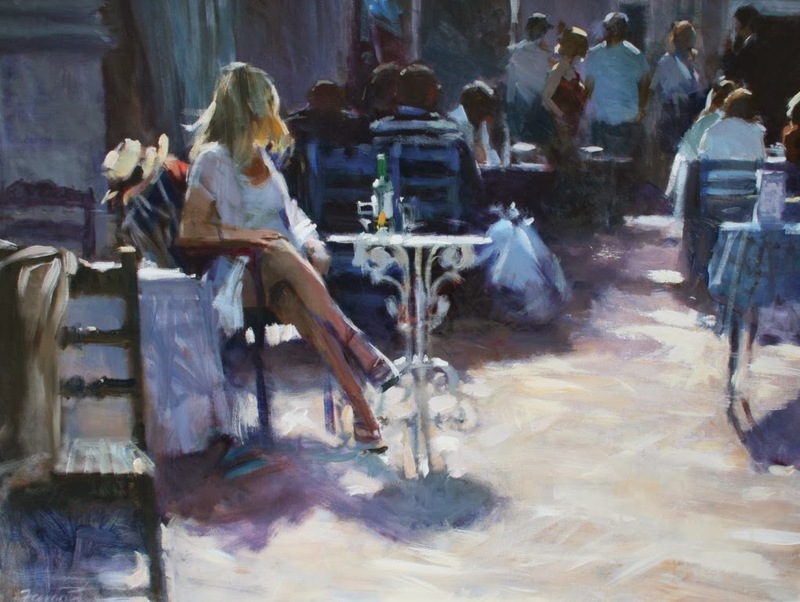 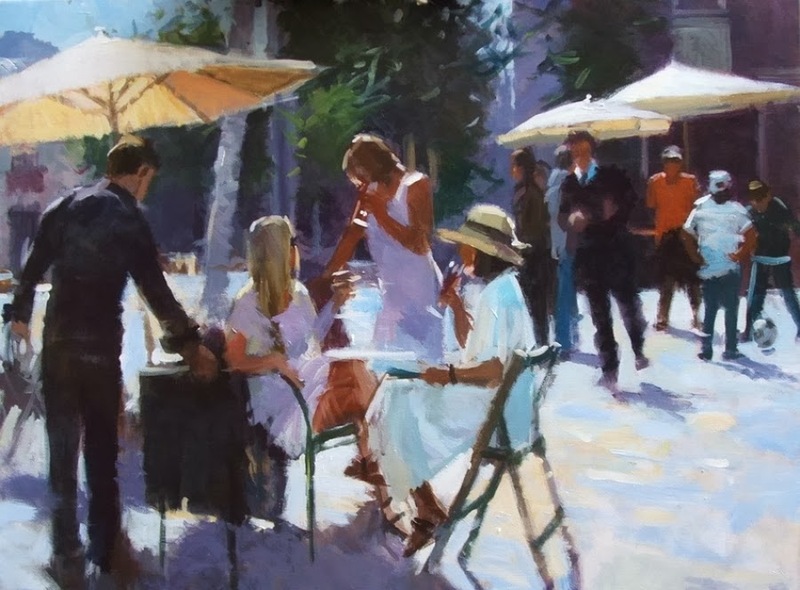 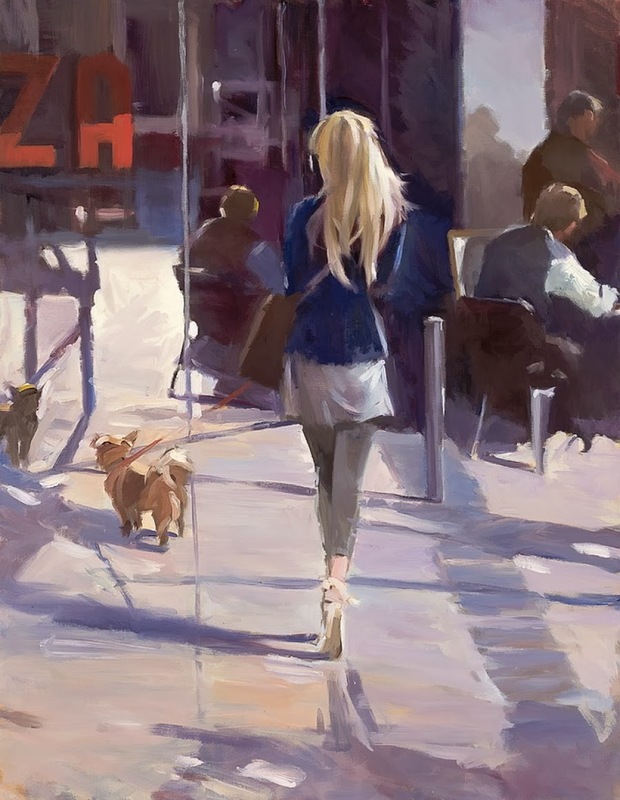 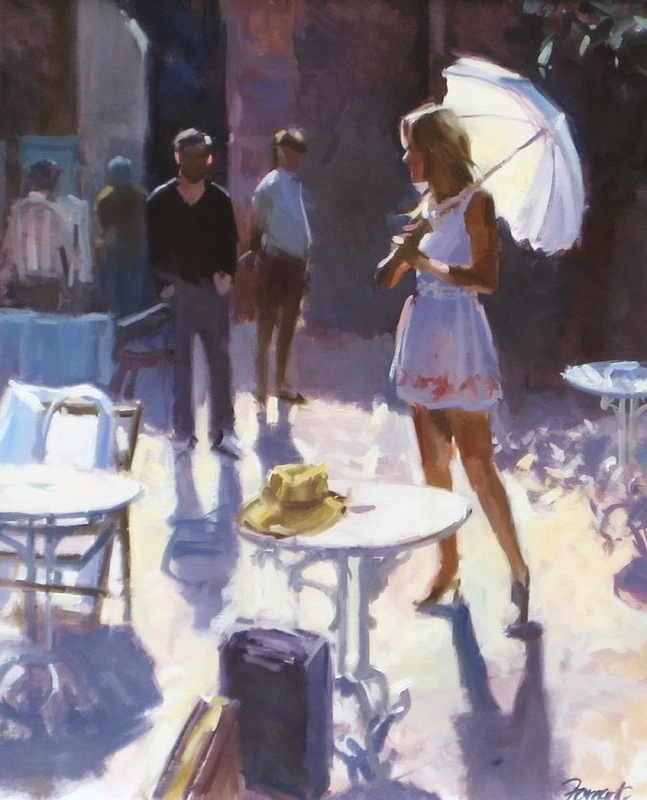 Born in London in 1938, David Farrant has built a reputation as one of the country’s finest figurative painters. 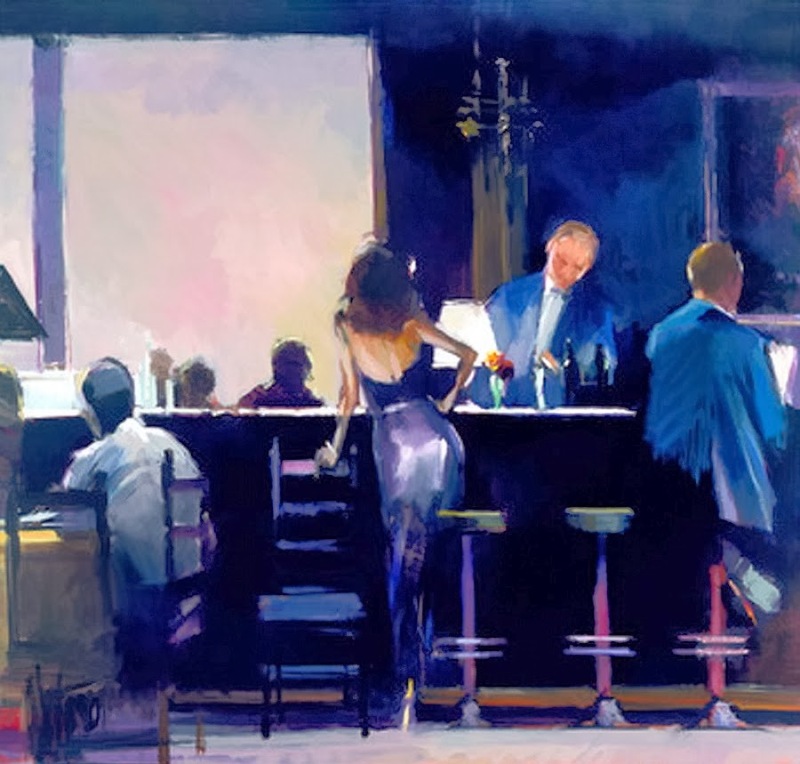 Like Hopper or Vettriano, David is inspired by everyday scenes of human interaction, and he reproduces these against a living background of muted colors and complex shadows. 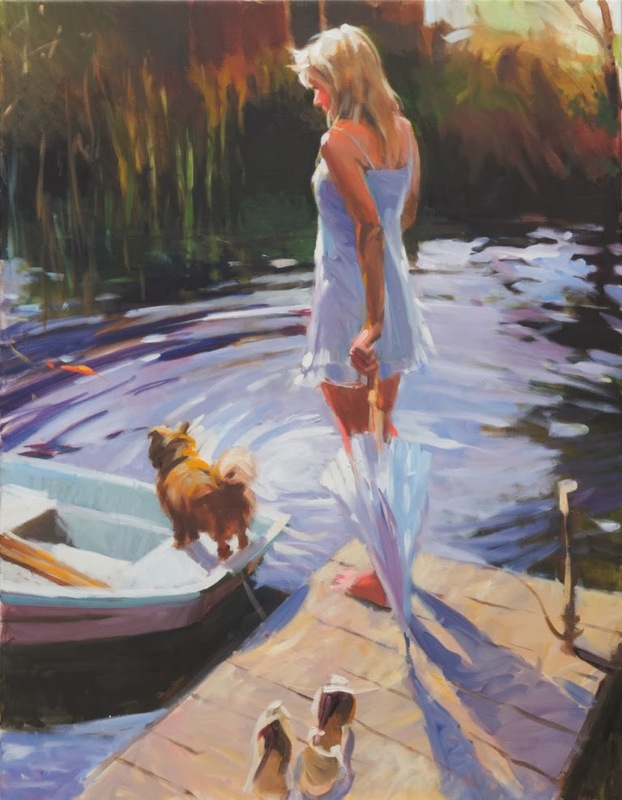 His early career was spent teaching art whilst also working very successfully as a portrait painter. 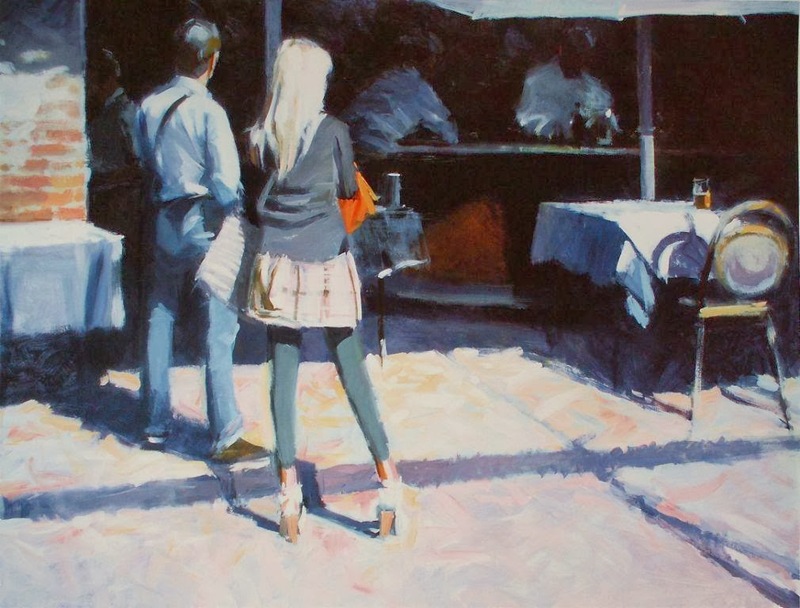 He no longer paints portraits preferring to concentrate on his figurative painting. 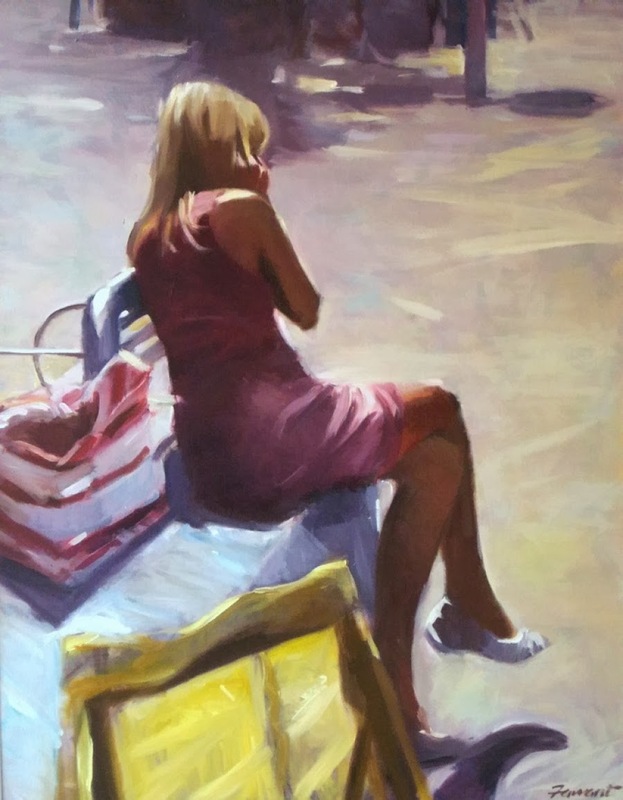 David works in oil and acrylic; he likes to work on a fairly large format and tries to hint at a story in the composition of the paintings. 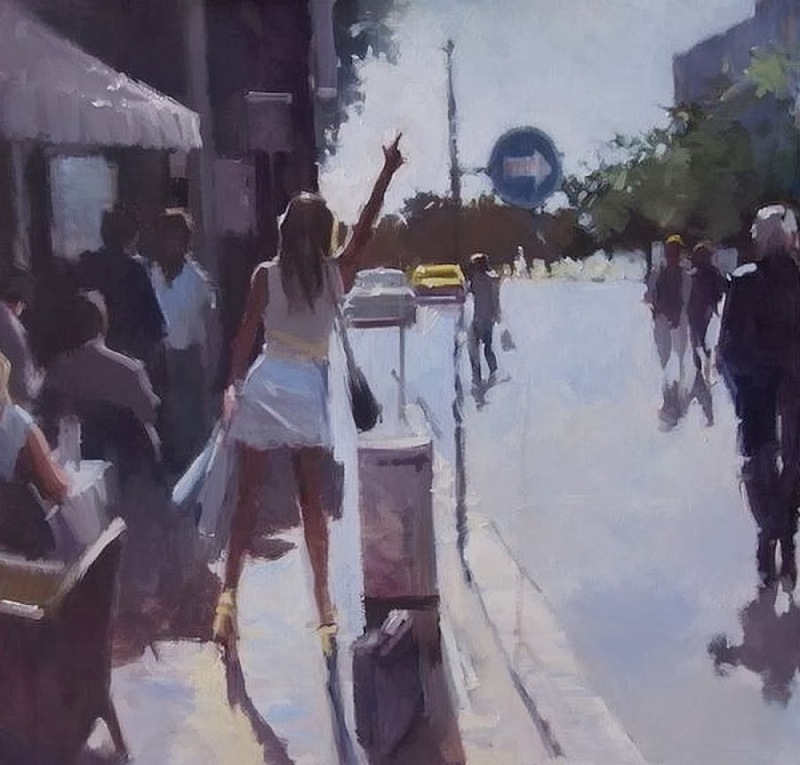 He gets his inspiration from observing people in everyday situations and the impact of light, especially sunlight, is very apparent in his work. 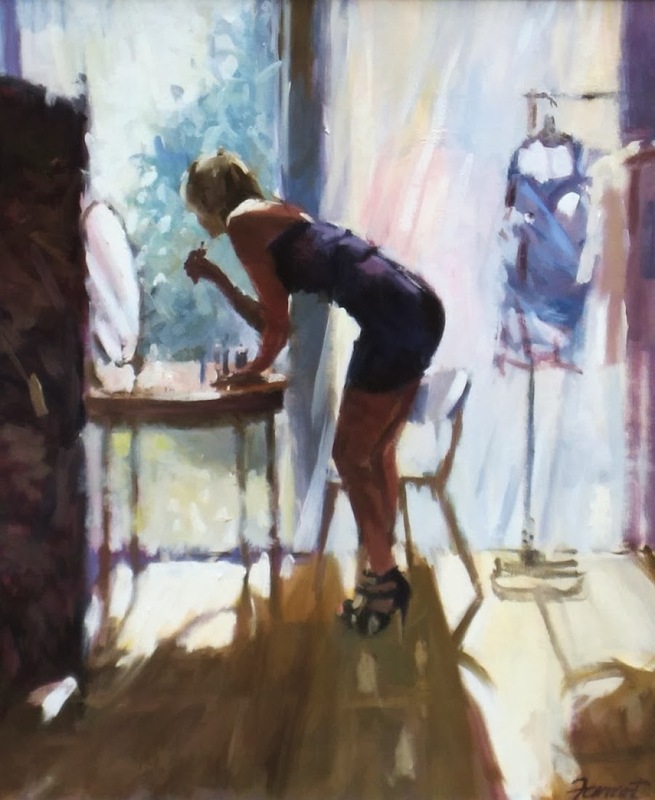 “I like to think my pictures work on two levels - firstly, and in a formal sense, as compositions in which strong tonal contrast, accents of colour and simplification of form are key elements. 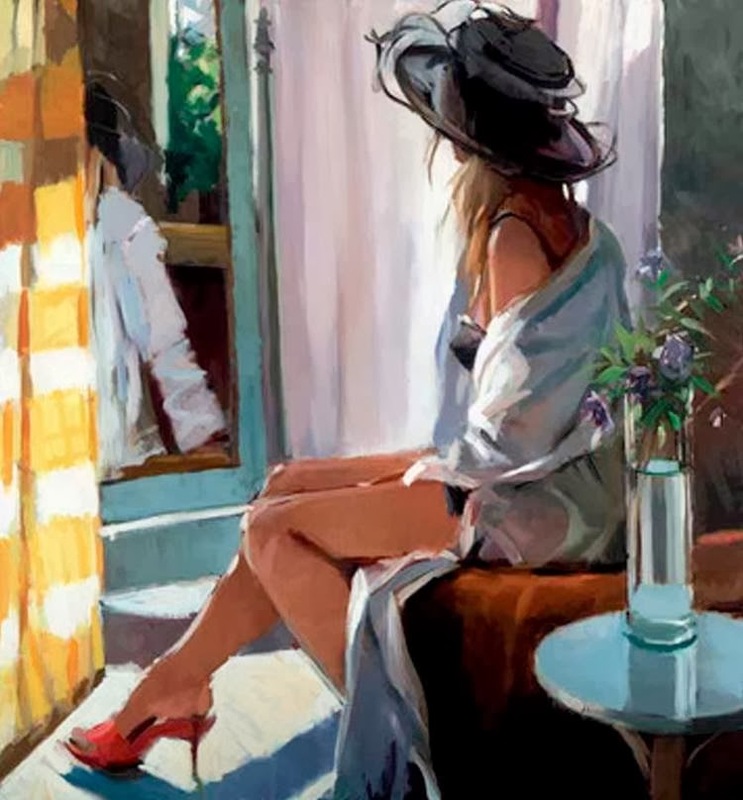 Secondly, and in a narrative sense, I hope they carry a mood and the possibility of an unfinished story which the viewer can share”. 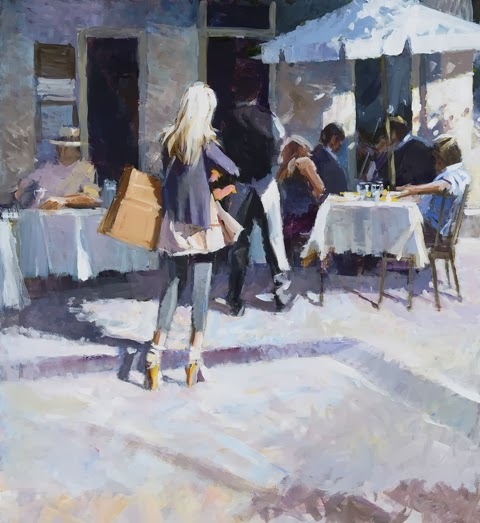 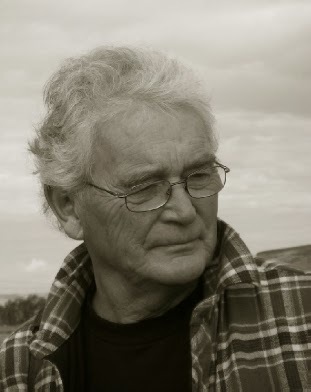 After training at St Martin’s, David embarked on an impressive painting career during which he has exhibited at the Mall Gallery, the National Portrait Gallery and with the Royal Society of Portrait Painters. 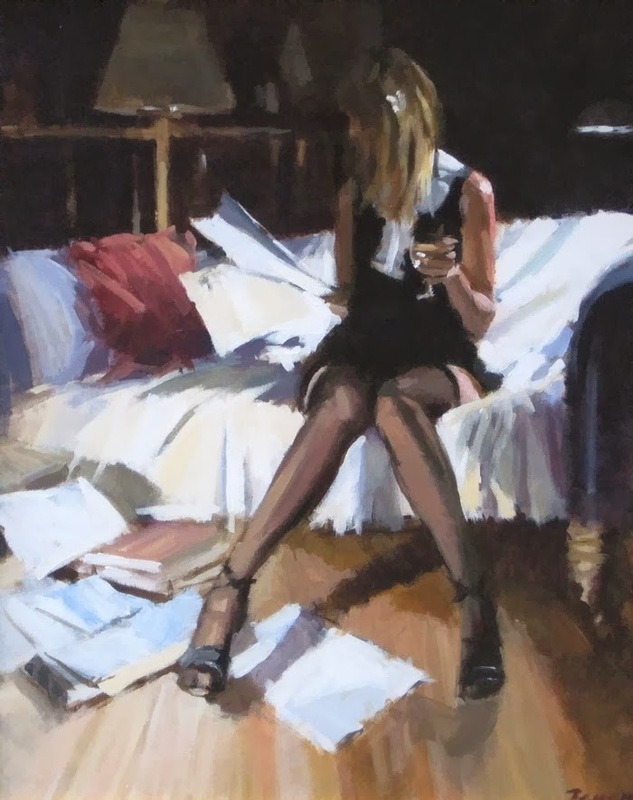 He has also undertaken over 20 portrait commissions and has work in private collections all over the world. 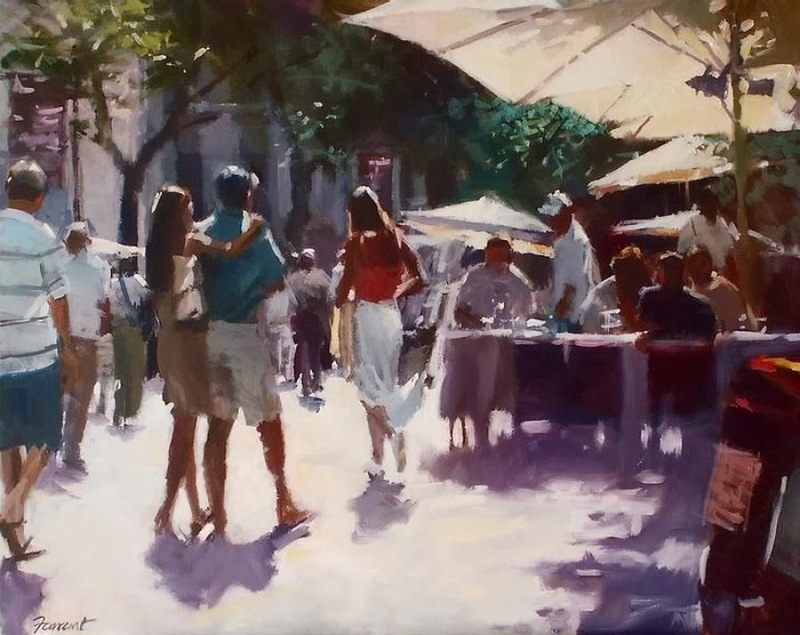 David now lives in East Devon and within his busy painting schedule, he also teaches students at a local art college.